It’s hard to say where my interest in Greece originates. I honestly can’t recall becoming aware of Greece, but I know I did at some point. 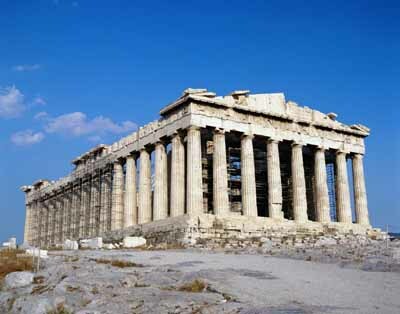 Whether I had some idea of it as a child, I can’t say, but my increasing interest in Greece, well Ancient Greece, came from studying Greek and Roman mythology in my Latin classes. Though, considering it was a Latin class, we focused primarily on Ancient Rome and the writers and stories from there, but Rome took most of their ideas from the Greeks, so the two are inseparable. Over the four years I took Latin in high school I became fascinated with the Ancient civilizations and cultures. My teacher would have us translate the myths in class, which is how I came to know most of them. 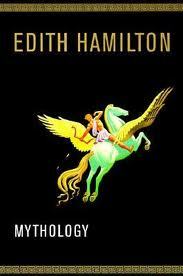 The others I read in Edith Hamilton’s Mythology and learned more about in Greek and Roman Mythology at the University. I’ve been ruminating as to why I am so interested, but I really don’t know. I find it absolutely amazing, though. Through my Latin and History courses I have just become more obsessed with the Ancients. I am also humbled by the Ancient Greek and Roman architecture. When I traveled to Italy, I stood open-mouthed and in complete awe of the beautiful structures I was looking at. I am truly fascinated by the mythology, the “cultures,” the architecture–you name it. I don’t know why and I know it’s problematic, but I absolutely love it! April 21, 2011 | Filed under Reading.